By the late 1880s, Catholic University established its location just north of Brooks farm. Developers quickly responded to these expansions, creating a new Washington neighborhood beyond the central city and taking its name from Col. Brooks. Savor the solemn beauty of the Franciscan Monastery and the grandeur of the Shrine of the Immaculate Conception as you explore this neighborhood nicknamed "Little Rome," home of Catholic University and more than 60 Catholic institutions. Brookland is also home to the Pope John Paul II Cultural Center, which offers exhibits, special programs and more. And within a short drive of the neighborhood center, you can visit the city's oldest cemetery and the magnificent gardens of the U.S. National Arboretum. A rich African American Heritage resulted from an expanded African American presence in the 1930s, adding to the diversity of Brookland. Of particular note are 13 International-style houses designed by Hilyard Robinson and Howard H. Mackey, two of Washington's most prominent African American architects in the 1930s. One of their designs is the Ralph Bunche house, built for the Nobel Peace Prize winner. Many other notable black Washingtonians made their home here, including the entertainer Pearl Bailey, the poet Sterling Brown, HUD Secretary Robert Weaver, Senator Edward Brooke, and Rayford Logan. Still a racially mixed neighborhood today, the Brookland community enjoys an interesting history of civic activism. Most recently it rescued Colonel Brooks mansion, which still stands near the Brookland Metro station, a symbol of this community and its heritage. The area's numerous Catholic institutions offer interesting architectural models and religious sculpture. They also provide a significant resource for Catholic studies. Libraries and collections such as the Dominican House of Studies, the Marist College Library, Oblate College and Theology Library, and Trinity College make their resources available to serious researchers. In the quiet NE DC area is the popular Washington DC neighborhood known as Brookland. 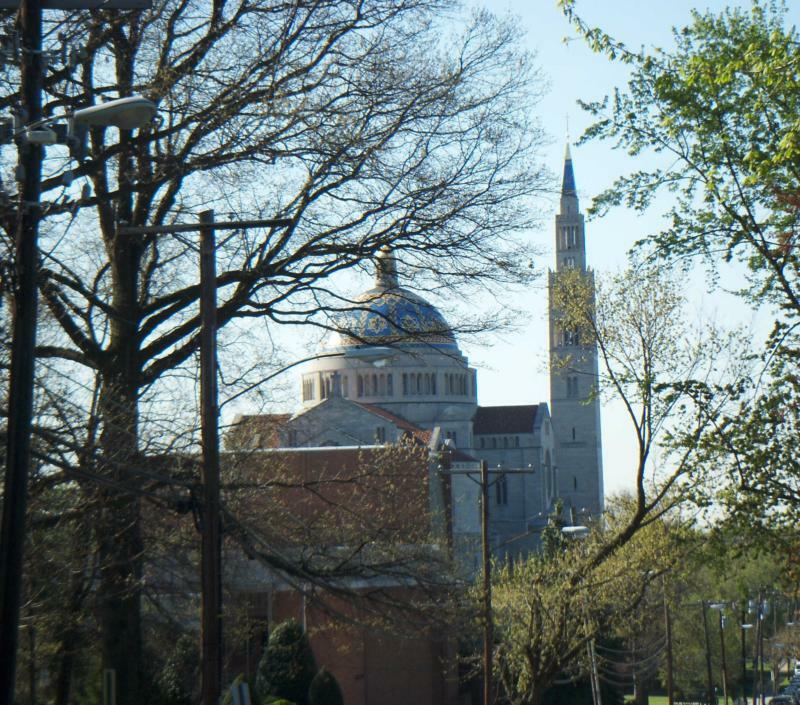 The Brookland neighborhood is most notable for being the home of Catholic University and the various Catholic Instititions in the area. President Lincoln had a cottage in the area which was mostly farmland in the 19th century. In 1840 Colonel Jehiel Brooks built a mansion which was referred to as Brooks Mansion. This "Brookland" came into bring. The DC street cars helped this part of the city grow and then in the late 1800s, the Roman Catolic Church bought large tracts of land. Now home to Cathlic Universoty of America (CUA), Trinity Universty, the Mount St. Sepulchre Franciscan Monastery, the Basilica of the National Shrine of the Immaculate Conception the Pope John Paul II Cultural Center which opened in 2001. In this neighborhood you will find different styles of rowhouses, small condo buildings and condo converstions as well as many Queen Anne style and other Victorian homes. Of course with any college area, there are also sveral dorm-like apartments and low-rise buildings to accomodate the students of the area. 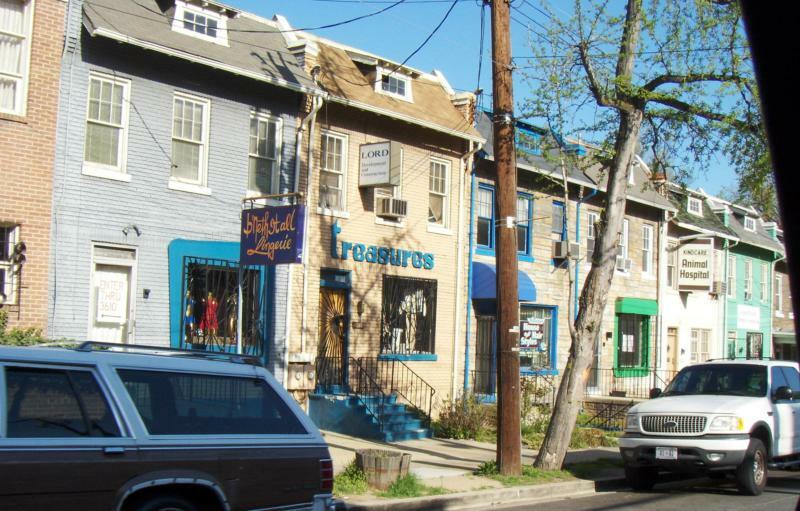 Brookland has its main retail area along 12th street NE. Evertthing from Art Galleries and Beauty Shops to Coffee Shops and an Animal Hospital. Here is a great LINK to see the Brookland Businesses.